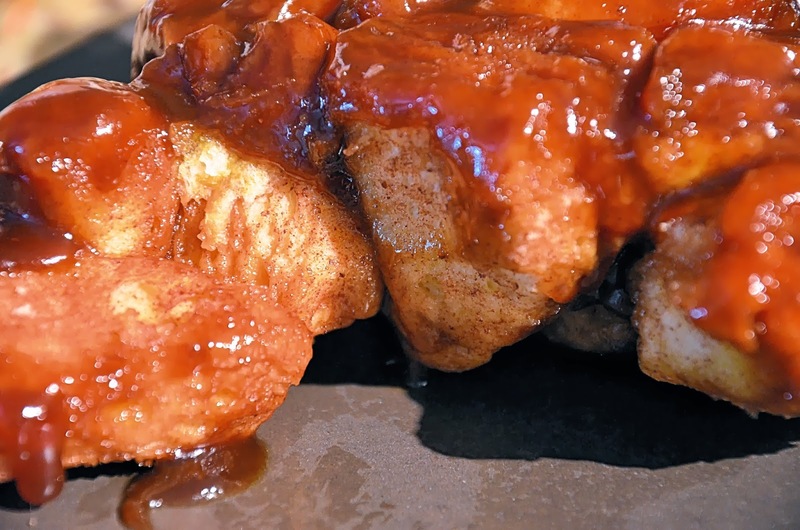 Who says Monkey Bread is just for kids? It can be, but this recipe is mine. All mine! 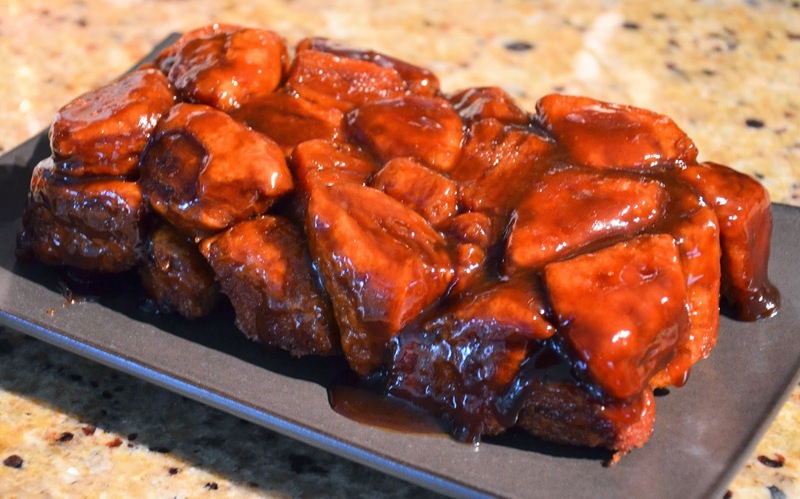 It was adapted from a Pillsbury Monkey Bread recipe, but with a slightly adult twist – Crown Royal Maple. As I hear, drinking Crown Royal Maple is one of those experiences that you either love or hate. I stand firmly in the former camp. I remember the first bottle I bought. Twisting the cap, breathing in the intoxicating maple aroma… Of course the aroma in and of itself was not intoxicating enough – I quickly splashed some on the rocks to elevate the experience. But honestly, even if you hate it, and it evokes the sensation of swilling pancake syrup, you can make a great use of it in baked goods. I have a growing list of tasty treats that have been elevated to rock star status with the addition of this most awesome ingredient. The recipe makes a large round, or can be halved and baked in a loaf pan (pictured). Preheat oven to 350. Lightly grease a large tube pan. In a large plastic food storage bag, mix the granulated sugar, cinnamon and salt. Separate the biscuits, and cut each into quarters. Toss the quarters into the bag, and shake well to coat thoroughly. Arrange the pieces in the pan, adding chopped pecans among the pieces if desired. In a bowl, mix the melted butter, vanilla and Crown Royal Maple. Pour evenly over the biscuit pieces. 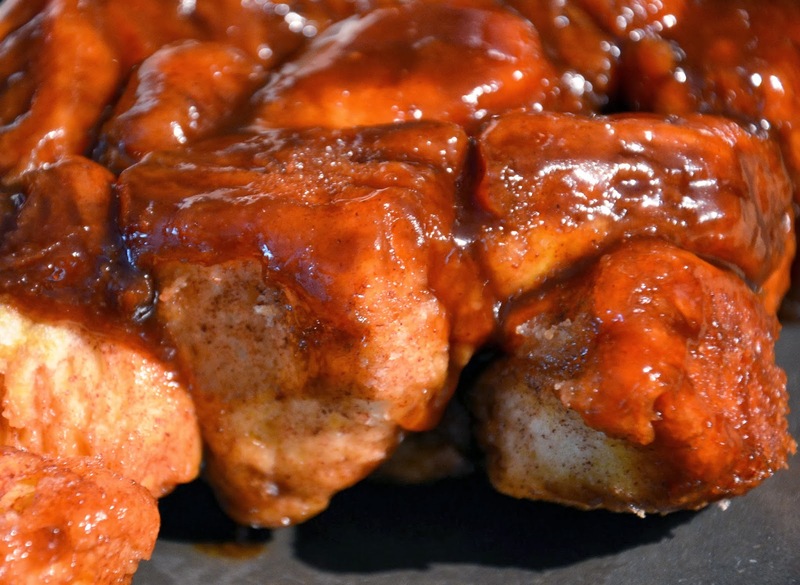 Bake 28-32 minutes – until golden brown and no longer doughy in the center. Allow the bread to rest in the pan for 10 minutes. Turn upside down onto a serving plate, and serve warm. Last but certainly not least – ENJOY!